Landscapers typically select drought-tolerant vegetation when designing rock gardens, but in regions where deer are a problem, your rock garden should also contain deer-resistant, or deer-tolerant, plants. Some plants are described as "deer-proof," but this is optimistic marketing, as deer are voracious, intrepid feeders, and few, if any, plants can claim to be truly deer-proof. But the stalwarts described here handle both drought and browsing deer pretty well, and they can be grown almost anywhere in the continental U.S. (and across corresponding temperate zones). And because these plant species are chosen for rock-garden suitability, they are guaranteed to do well in sunny conditions and in dry but well-drained soil—the normal conditions of a rock garden. Hens-and-chicks (Sempervivum tectorum) is a deer-resistant plant that forms attractive rosettes. Its succulent leaves mass together into short, compact mounds. Hens-and-chicks does bloom, but the plant is normally grown for its foliage, not for its negligible, spiky flowers. The tiny "chick" plants grow at the base of the main "hen" plant. If you want to propagate the plant, you can detach the chicks and grow them elsewhere. Otherwise, just let them be; they will form a dense mat that essentially serves as a ground cover. Hens and chicks can be planted in USDA hardiness zones 3 to 8. Stonecrops (Sedum spp.) are a perennial favorite in rock gardens, as the "stone" in the common name suggest. The plant is so-named because it thrives in rocky, stony soils. Common examples include Angelina sedum and Autumn Joy sedum. Stonecrop foliage consists of succulent leaves in whorls, and like all succulents, this plant has evolved to store moisture in those fleshy leaves. The leaves are sometimes variegated and can range in color from bluish-green or greenish-yellow to reddish-pink or off-white. Unlike hens and chicks, stonecrop produces a flower that is well worth growing on its own merits. The flowers can be yellow, orange, red, pink, or white, and they usually bloom in clusters above the foliage. Many varieties of sedum are available, from creeping ground covers to upright forms growing to 2 feet. There are species of sedum suitable for every region. Barbed-wire fences may be effective in controlling deer—if the fences are tall enough. But why not put the barbed-wire right on the plant itself? This is just what prickly pear cactus does. 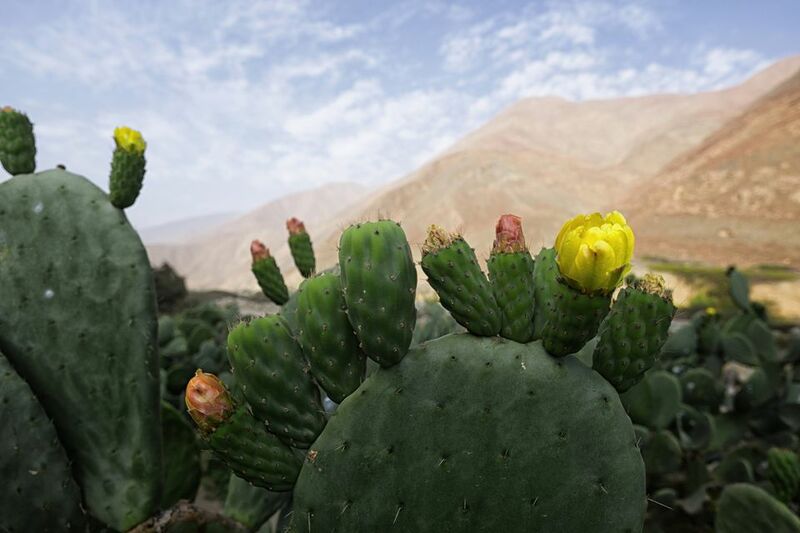 Prickly pear cactus (Opuntia compressa) grows to be about 6 to 14 inches tall. It bears showy yellow flowers, 2 to 3 inches in diameter, as well as those menacing spines. A prickly pear cactus in bloom positioned next to a red hen and chicks plant makes for a striking rock garden pairing. This is the only cactus found widely in the eastern United States. It grows well in USDA hardiness zones 4 to 9. Your choices for deer-tolerant plants in rock gardens are not restricted to cacti and succulents. Lamb's ear (Stachys byzantina) provides wonderful texture in rock gardens and spreads readily. Lamb's ear plants produce light purple flowers on tall spikes. Their silvery foliage has a velvety texture—the feature that gave lamb's ear its name. This texture seems to be unpleasant to the palates of deer since they rarely browse on this plant. Lamb's ear grows well in USDA hardiness zones 4 to 8. In very warm climates, it may need some afternoon shade. There are all kinds of reasons why deer may decide not to eat a particular plant. Besides off-putting textures and the presence of spines, toxicity can be a deterrent. Such is the case with purple wood spurge (Euphorbia purpurea). Of course, it is not a good idea to have poisonous plants in a landscape where young children or pets are present. Another drawback with purple wood spurge is that it can be invasive, spreading to areas of the landscape where you don't want it. But if neither of those drawbacks is a prohibitive obstacle, purplewood spurge may be worth a look. It certainly is an interesting plant to observe growing from season to season. Purple wood spurge is a 12- to 18-inch tall evergreen perennial that can be grown in USDA hardiness zones 4 to 9. The real appeal of this plant is the purplish foliage, but it does bloom in early May with yellow flowers and chartreuse bracts appearing in clusters. Rock cress (arabis spp.) is a tenacious little creeping plant that can squeeze into any crevice. It grows 4 to 6 inches tall and blooms with masses of pink or white flowers in the spring. A classic rock garden plant, rock cress also does quite well in containers, as well. It is a good plant for USDA hardiness zones 4 to 8. Shearing back the plants after flowering encourages new dense growth. Candytuft (Iberis sempervirens) is a low-growing spreading plant (6 inches tall, 16 inches wide) with evergreen foliage. Snow-white flowers appear in April and May, fading to a light pink. The deep-green foliage can be attractive in the landscape right into winter. It is suitable for growing in USDA hardiness zones 5 to 9. Occasionally, rock gardens are in shady locations, and in this circumstance, lamium (Lamium spp.) can be an excellent choice. This attractive creeping plant grows 6 to 12 inches tall with colorful variegated foliage and white or pink flowers. Suitable for growing in USDA hardiness zones 3 to 8, lamium spreads quickly in the right location but is rarely seriously invasive. This is not a plant for classic hot-and-dry rock gardens but works well in cool shade. How Do You Care for Adam's Needle Plants?